A Perfect Landscape’s certified landscape contractors believe that your landscape installation doesn’t need to be expensive, messy, or stressful. 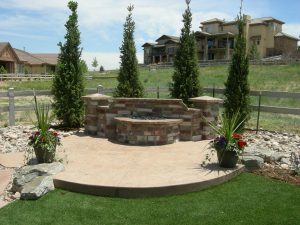 We specialize in providing the Denver metro area with the most efficient, affordable local landscape construction that won’t put a strain on your time or your wallet. 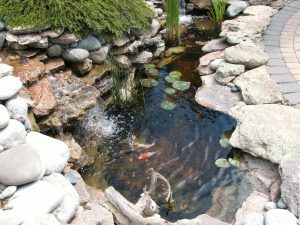 Our goal is to offer landscape installation services without intruding upon the daily activities of your Denver home or business. Our landscape construction crews are committed to providing 100% satisfaction, and will ensure all your custom landscape installation requirements are met. A Perfect Landscape guarantees that all landscape installation and construction sites are left cleaner than when our contractors first arrived, and that we arrive on time and meet the deadlines put forth in your landscape installation plan. Our professional landscapers want to get your landscaping construction done correctly the first time, so there is little need for future landscaping maintenance. Our landscape installation teams work efficiently and effectively to deliver on our promise that your commercial or home landscaping design will come to life according to your exact specifications. As local landscaping contractors native to Colorado, we truly value the needs of our valued friends and neighbors in the Denver metro. The landscaping contractors at A Perfect Landscape work diligently year-round to ensure that the landscaping installation and renovation needs of your Denver home or business are met, no matter what the weather might be. Many people assume that landscape installation can be only performed during the warm summer months, however, our landscaping team recognizes the benefits to providing full-scale landscape installation projects and comprehensive landscaping services all year long. Some of the benefits to landscaping in the winter include: more availability for our landscapers to get your projects completed quickly, getting your landscape installed and ready for use during the spring and summer months, it’s more eco-friendly due to less greenhouse gas emissions (which can be more harmful in the hot months), and the ability to use the varying seasons appropriately for the installation of season-specific landscaping elements. For more information on Landscaping through All Four Seasons, download our free eBook now. A Perfect Landscape guarantees that all landscape installation crews arrive on time, meet the deadlines put forth in your landscape installation plan, and that construction sites are left cleaner than when our contractors arrived. Our landscape installation teams work efficiently and effectively to deliver on our promise that your commercial or home landscaping design will come to life according to your exact specifications. You do the dreaming, and our landscape construction crews will do the work! Our job is to make the landscape installation process a breeze. 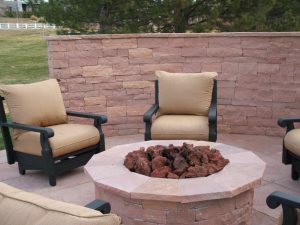 We install custom patios, retaining walls, fire pits, sprinkler systems, and more, to create an outdoor living space that everyone in your Denver home or business will love and enjoy. Contact our Denver area office at (720) 851-3034 to learn more about our comprehensive landscape installation and design services.